Are You Concerned About Your Home’s Air Quality? If you’re a parent, then you’ve probably told your children at one time or another to go outside and get some fresh air. While sitting in the house for hours on end can be detrimental to one’s health, when was the last time you thought about the “fresh air” inside your home? If you’re concerned about indoor air quality (IAQ), Lamco Systems is here to help. With our HVAC expertise, we can make sure your Merrimack Valley home has clean, breathable air all year round. New homes are built to be airtight, and the windows and doors are constructed to provide the most energy efficiency possible. While this is good for heating and cooling costs, it can also mean that indoor pollutants such as dust and pet dander can’t find their way outside. Your furnace and air conditioner take air from the outside and pump it into your house, after heating or cooling it, but what happens if there’s dust or pollen already in your ductwork? HVAC filters are designed to catch those outdoor pollutants, but indoor allergens can pose the same level of risk, especially if you have family members who are allergy and asthma sufferers. 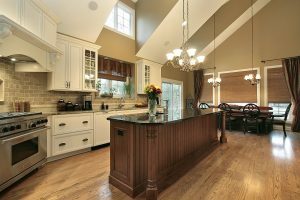 If you’ve recently built a new home, you probably can’t wait to move in and get settled. The new carpet, hardwood floors, and other finishing touches have been installed, and all you have to do is put everything where you want it. However, with new homes can come certain risks, such as off-gassing from chemicals in the carpet or the drapes, or the finish used on the hardwood. These odors often subside after a while, but they can be prevalent during your first few weeks of occupancy. You and your family may suffer from sinus headaches, sneezing, and other symptoms, and that’s where the right IAQ solutions come in handy. For those who are suffering from indoor air pollutants like dander or pollen, or are experiencing off-gassing from new home features and decor, it’s important to find IAQ solutions that fit your budget and your lifestyle. 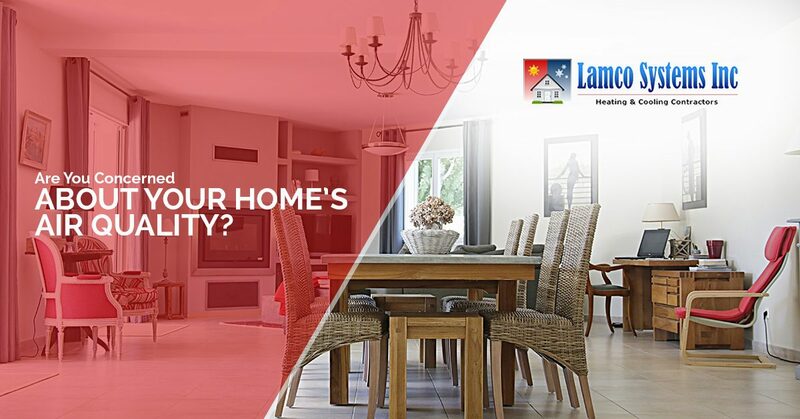 At Lamco, we have a number of options that can work in your home, such as single room fans and whole-house ventilation systems. In the heat of summer and cold of winter, when you have all the windows and doors shut and the HVAC system running non-stop, it’s important to have a way to move the indoor air to the outside and keep everything circulating. If you’d like to know more about indoor air quality and how you can improve your home’s HVAC systems, contact us today. We are always happy to answer any questions you may have, and we’ll gladly show you the ideal solutions for your specific situation. It doesn’t matter if you’ve just moved into a new house, or you’re living in a house that’s 200 years old, we can improve your air quality and help you and your family breathe easier.